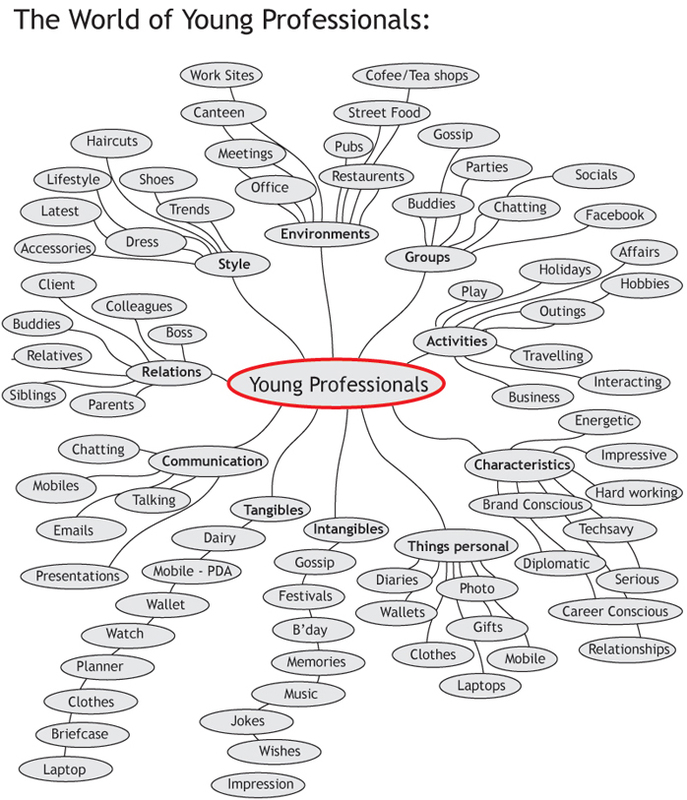 The mapping shows the world of young professionals. These factors would vary depending on the context, environment, place, etc. This map is adopted from the works of M. Des. students Abhijeet G. Rokade, Peter Joseph and Preetal Kamat; and B. Des. student Avinish Chaturvedi.